The action on the field during a particularly exciting football game often locks spectators in its grip. With minutes to go and everything hanging in the balance, spectators hold their breath, jump up and down or even pray. The moment consumes them. Similarly, some films move viewers to laughter or tears. Perhaps they identify with the profound anguish or desperate plight of a character in the story. A game and a film both can cause viewers to feel caught up in actions unfolding before their very eyes. These largely remain the actions of others, nonetheless. Spectators remain a step removed from the action and its outcome. The Second Vatican Council raised the issue of spectatorship in its 1963 Constitution on the Sacred Liturgy (“Sacrosanctum Concilium”). The council’s footprint undoubtedly is noticed most often today through this document’s impact because it involves the celebration of the Mass and sacraments, so recognizably part of the lives of Catholics. It is difficult to define with precision what a “spectator” is. But the council insisted forcefully that Catholics are not present as “silent spectators” during the Sunday Mass or celebrations of other sacraments. Catholics should be prepared to “take part in the sacred action, conscious of what they are doing” — to collaborate fully and with devotion in the liturgy, the constitution asserted (No. 48). If the council hoped believers would not assume the posture of “silent spectators” during sacramental celebrations, does that imply that they should be spectators of some other kind, noisy or incessantly vocal, for example? It implied, in the council’s words, that they should participate both “internally and externally” in the liturgy (No. 19). Today, worshipers participate in the Mass through verbal responses and singing. They listen in an active, focused way to the biblical readings, and they participate through prayer that is spoken aloud with others and prayer that is quietly personal. Some participate by proclaiming the Scripture readings, distributing Communion and in roles meant to assure that newcomers and others feel welcome. Catholics do not tend to think in our times that they are present only to observe what is done by the priest, the altar servers or the choir, for example. Yes, Catholics do not remain silently quiet throughout the Mass, as they might have done in the distant past. This teaching of the council has taken root. Active, informed and collaborative participation in the institutions and associations that fulfill roles in people’s lives is a sign of our times. Twenty-first-century citizens are not surprised to be invited to contribute not only their best thinking but their energies and talents to achieving the goals of communities that are intimate parts of their lives. If the Second Vatican Council in certain ways reflected this cultural sign of the times, its call for full liturgical participation nonetheless was based upon the basic purposes of liturgical worship. 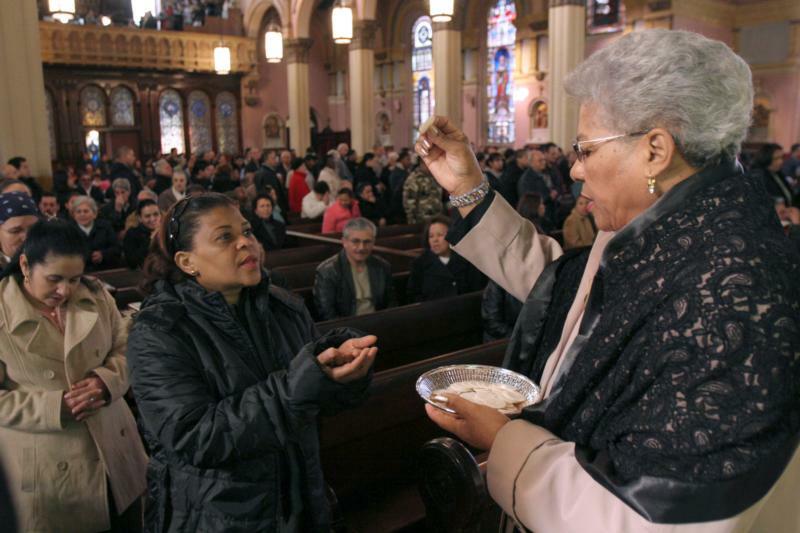 “Fully conscious and active participation in liturgical celebrations” is actually “demanded by the very nature of liturgy,” the council’s liturgy constitution noted. It explained that “such participation by the Christian people … is their right and duty by reason of their baptism” (No. 14). People born long after the council may wonder why the liturgy constitution thought it necessary to accent the importance of participation in the entire Mass, including the Liturgy of the Word in which the biblical readings are proclaimed and the homily is heard. Few Catholics today would question the value of this part of the liturgy. After all, the church experienced an explosion of interest in Scripture during the decades after the council. Scripture seminars often became a mainstay of parish life, and the Bible was accorded a key role in Catholic spirituality. “The two parts which, in a certain sense, go to make up the Mass, namely the Liturgy of the Word and the eucharistic liturgy, are so closely connected with each other that they form but one single act of worship,” the liturgy constitution commented (No.56). Vatican II also fostered liturgical participation through its emphasis on holiness as a goal for all, not just for some. “All the faithful of Christ of whatever rank or status are called to the fullness of the Christian life,” the council affirmed in its Dogmatic Constitution on the Church (“Lumen Gentium,” No. 40). Exploring the life of holiness, many now looked more and more to the liturgy as, in the words of the liturgy constitution, “the primary and indispensable source from which … to derive the true Christian spirit” (No. 14).